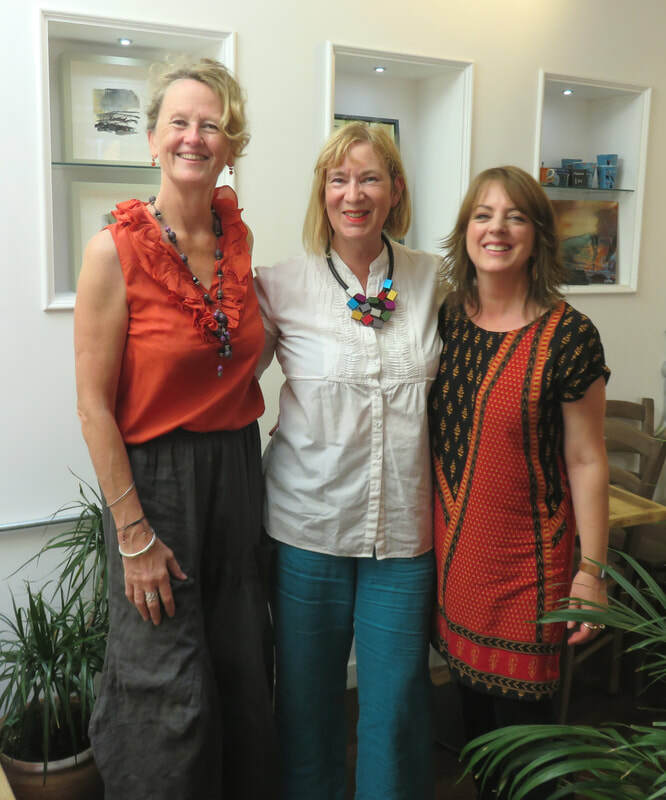 Karen Stamper, Clare Maria Wood and Lesley Birch met in Cambridge many moons ago. When Lesley moved north to Yorkshire, the three began a correspondence art project they dubbed The Cambridge 3 Postal Project. This involved working on each other's artwork and responding to marks, colours and even stitching. In 2016 the three successfully applied to Brisons Veor for a residency in Cape Cornwall and the following year exhibited these sea paintingis back in Cornwall, this time in St Ives Crypt Gallery in their show COAST. November 2017 saw The Cambridge 3 launch their successful 30 at 100 project, offering small canvases and works online. 2018 saw The Cambridge 3 going back to their roots with a successful joint exhibition in Cambridge in June 2018. Now, in 2019, The Cambridge 3 are moving between three cities since Clare Maria Wood's move to Brighton. Karen Stamper won The Sentinel Award at the Bankside Gallery Royal Watercolour Society Contemporary Watercolour Competition 2018 and exhibited with the Society of Women Artists at The Mall Galleries in 2017 and 2018. Clare Maria Wood won the Escoda Barcelona Award at the Royal Institute of Painters in Watercolour Exhibition 2018 at The Mall Galleries. Lesley Birch won The Artist Magazine Award 2016 and past exhibitions include The Royal Academy Summer Exhibition and The ING Discerning Eye 2016, 2017 and 2018 at the Mall Galleries.